Blessingbourne Estate, Fivemiletown are thrilled to have been awarded the much sought after Accommodation Of The Year award in the Non-Serviced Accommodation (self catering) category, at the recent Northern Ireland Tourism Awards hosted at Enniskillen Castle by storm (Thursday 19th May) in a celebration worthy of Hugh the Hospitable Maguire. The annual black tie event, regarded as the highlight of the tourism calendar, recognised 37 of the industry’s most inspirational individuals, businesses and organisations and marked tourism’s success over the past year. Themed as a banquet that could have been hosted by local Gaelic chief Hugh the Hospitable, the event in the recently refurbished Enniskillen Castle was organised by Tourism Northern Ireland in association with Diageo Northern Ireland. Blessingbourne is enjoying a ‘trail’ of success having also been awarded “Favourite MTB-Friendly Accommodation in Northern Ireland” in the prestigious MountainBikeNI.com Awards (January 2017) A promotional video of facilities at the Estate produced in conjuction with MountainBike NI and Tourism Ireland has accumulated tens of thousands of views over a short period of time. 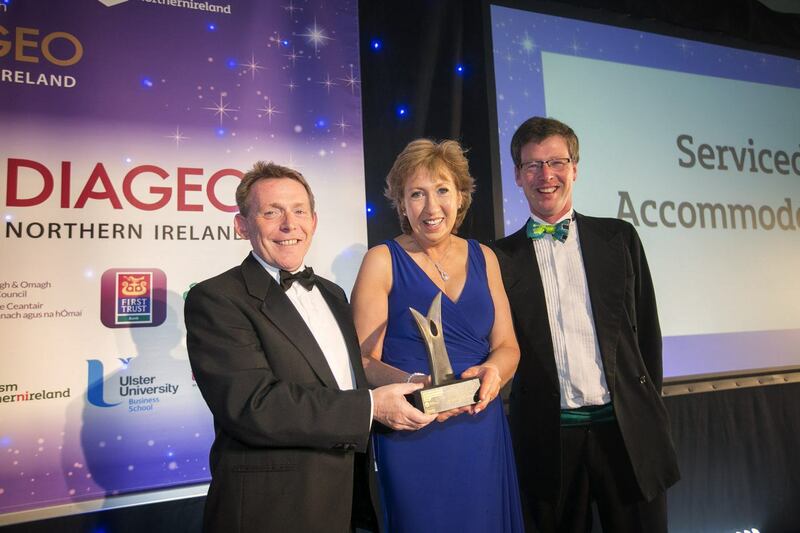 Owner of Blessingbourne Estate, Colleen Lowry, comments “We are absolutely thrilled to win Accommodation Of The Year award. Our vision is to provide short breaks in a memorable country estate setting, bringing families together and back to nature with high quality accommodation with a unique range of things to see and do, all set within a protected woodland environment”. 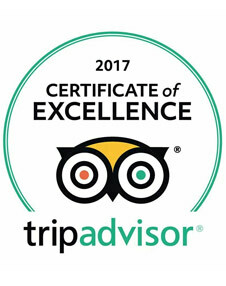 We would like to take this opportunity to thank all our guests who have stayed with us over the years and our special team at Blessingbourne that help make our guest experience so special. We look forward to welcoming you to Blessingbourne soon”.